Parra for Cuva and Anna Naklab’s version of Chris Isaak’s ‘Wicked Games’ has possibly been one of this year’s bubbling club anthems. A huge YouTube house hit, it’s had over 5.5 million combined views on the platform, with Soundcloud plays approaching 1.5 million. With a UK release on Epic and support from Radio 1, expect ‘Wicked Games’ to become an anthem for a new generation. Nicolas Demuth, aka Parra For Cuva, grew up in a small town in Germany’s Lower Saxony. 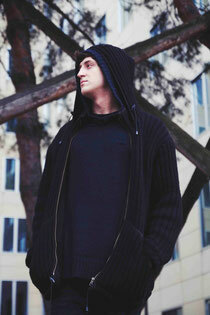 Upon finishing his A- levels, he did what any budding music producer would do; he left to study sound design in Berlin. A musical background of classical and jazz, along with his burgeoning interest in electronica, quickly combined with the wilder musical influences inherent to Germany’s capital city, leading him to develop an emotive, leftfield take on electronic music. A longstanding friendship with singer Anna Naklab turned into frequent collaborations, the first of which was the ‘Fading Nights EP’ on the French label, Delicieuse Musique Records, followed by further releases in the lead up to their version of ‘Wicked Games’ being signed by Dutch dance music label, Spinnin Records, in 2013. Look out for the Tom Misch remix too and check the video for the original out below, it’s out 12 October.